We stock Victorian and Edwardian reclaimed four panels doors, ledge and brace doors from old cottages, glazed external doors with lovely stained glass, 1 over 3 panel doors from the 1930s, antique six panel Georgian doors and many others. 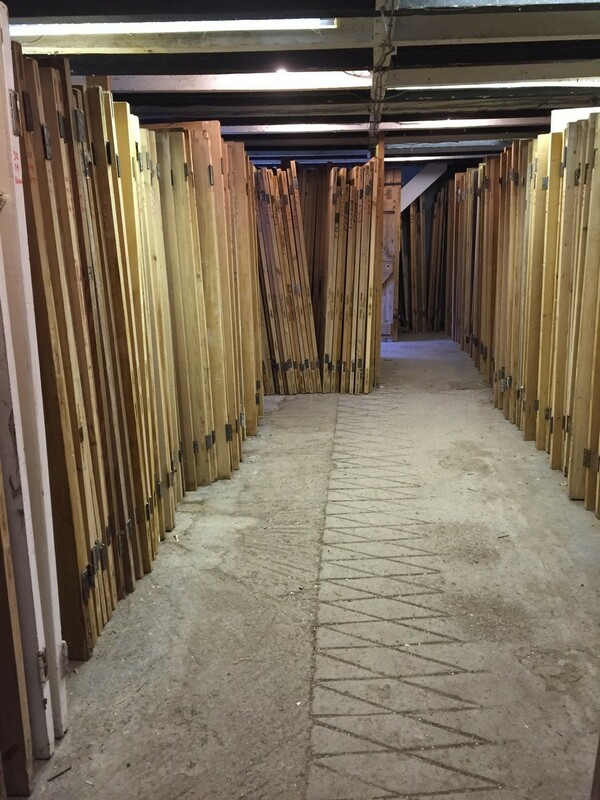 We have a stock of over 2000 doors at many different sizes. However a standard size is 30″ x 78″ and old doors were made this size, but when carpets were introduced to homes they had to be taken off and trimmed down to fit. So if you are having a extension built or just replacing frames the best thing to do is buy your door first and have the frame made to suit. If you need to get the frames in. Have them fitted with an opening size of 29.75 inches wide x 77.5 inches high. This way you will have a better selection of doors available. This goes for all sized doors as old doors go up in size in 2″ increments both width and height. For example – 28″ x 76″ – 30″ x 78″ – 32″ x 80″ – 34″ x 82″ and so on. If you would like anymore information please give us a call or pop in and will be happy to go over this with you.